Those who've never raced the Three Peaks often wonder what the riders encounter traversing the three mountains. Sure there are photographers and glimpses via onboard camera footage, but they rarely give the full picture. Editor Konrad Manning walked and ran the 38-mile course three weeks ago taking images along the way. 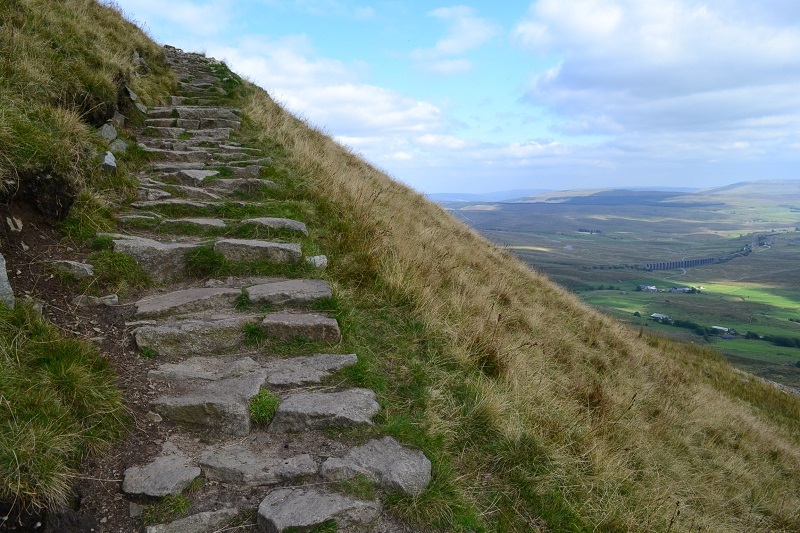 This is peak number two - Whernside. The road section from Cold Cotes, via Ingleton, turns for Whernside at Chapel-le-Dale. 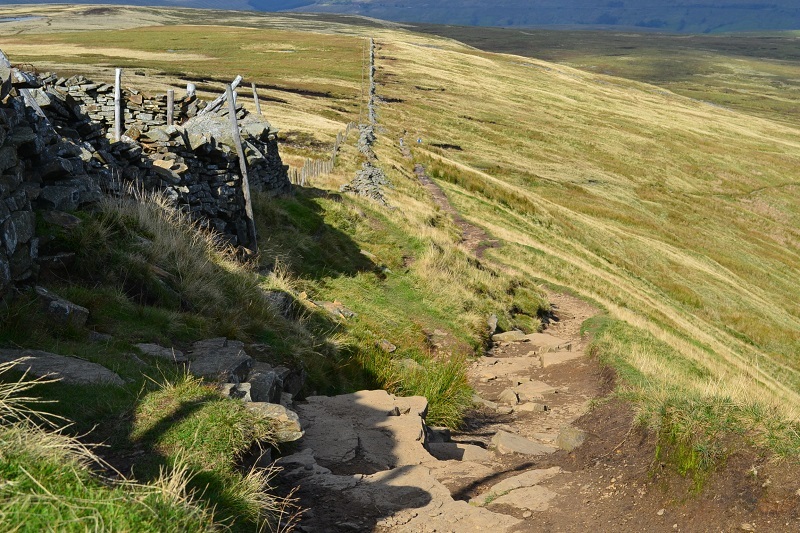 There is a long road approach to the foot of Whernside. 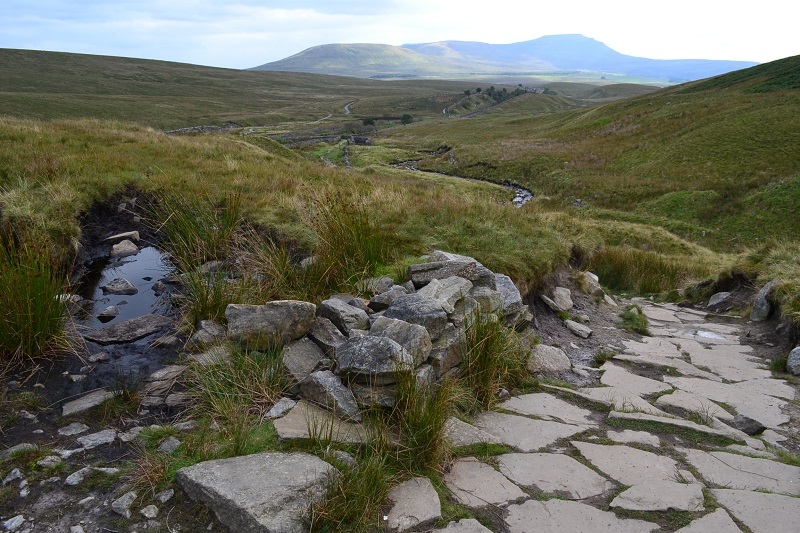 Whernside has had many 'improvements' in recent years including these slabs. ...it's steep and it's rough - more suited to the sheep. ...a zig-zagging, vertical, rocky staircase. A glance down to the Ribblehead railway viaduct (left). The gradient slackens off nearer the summit. It's a long vertical drop on the right as you begin the descent. These are new-ish slabs near the top. A rough section before the path bears right down the long set of stone slabs. Looking back up the long section of slabs. The drainage ditches, which have to be leapt at speed, cause many a puncture. Down to Blea Moor with Ingleborough (already climbed) in the distance. You don't get chance to turn around and admire this waterfall! The preferred race line is to the left here, but this choice is is getting less advantageous. The two streams to cross on this sections were quite low three weeks ago. Whernside summit is now to your right. The railwayman's cottage at Blea Moor signal box. Then Ribblehead viaduct is reached with third peak Penyghent now on the horizon. Looking back at the final drop to the viaduct. Next peak: Penyghent. Ingleborough here. A more general article touching on the history, appeal and challenge of the Three Peaks race is here.